Is it just me? Or has anyone else noticed that most magnets don't actually have strength? Drives me crazy. I mean, when you have one purpose in the world, shouldn't you at least be good at it? So I decided to make some of my own. Started with plain ole rocks. Turned into super cute animal magnets. Awesome! 5. 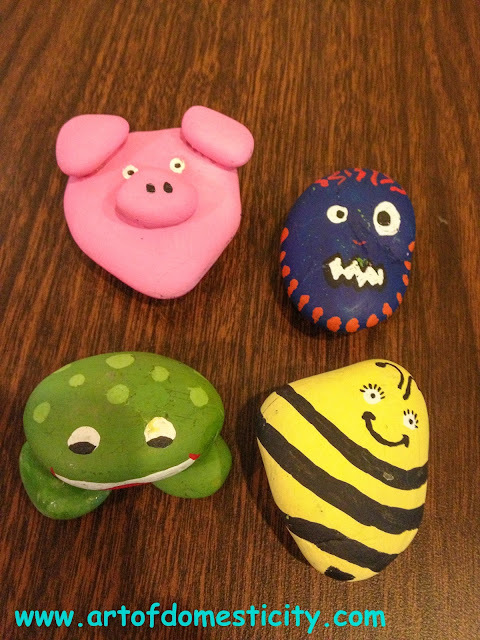 Grip clips, kind of like these...but mine were stronger so they could hold together rocks. 1. Figure out what animals you want to make. 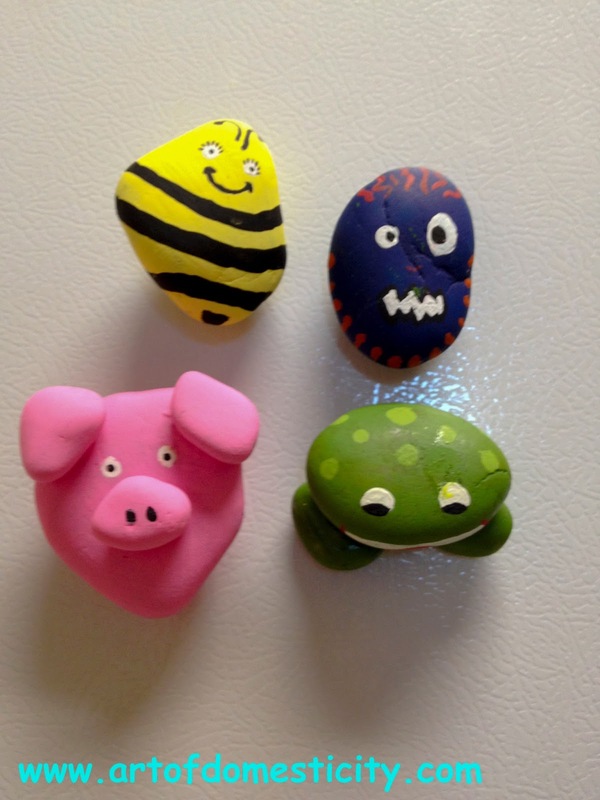 I chose a pig, frog, bee, and monster. 3. Glue the rocks together, and clip together until they are completely dry. 4. 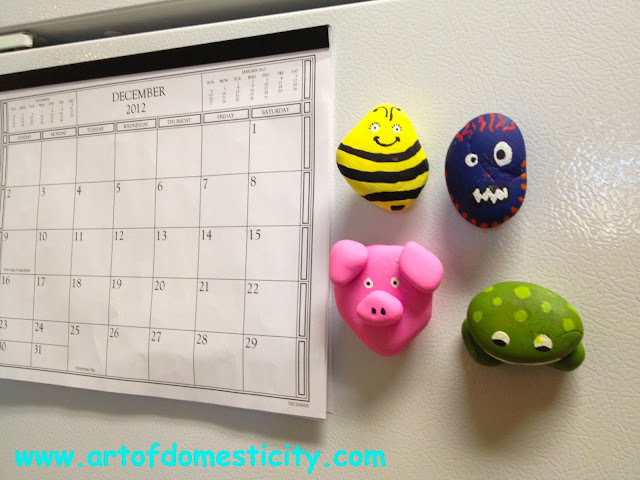 Hang on your fridge! I love them. :) Hope you do too!